Having basically contradicted my own stated intention by holding forth on musical style (I guess I can’t help myself) in the last post, I might as well talk a little more. For years I might have named “Father and Friend, Thy Light, Thy Love” as my favorite hymn, and for the first time, when I wanted to refer to it while writing this post, I could not remember its title. I only remembered its number — 370 — in Great Songs of the Church No. 2. This effect of the passage of time saddens me; I used to be inspired by, and wrapped up in, the singing of such great hymns. I used to plan and host singing events in which such songs were sung. None of that gospel song diet or Stamps-Baxter “junk food” for those in my closest circles. We really sang to the Lord — songs of worth . . . songs of high musical and high poetic quality . . . songs that spoke from the soul of the devoted Christian to the awe-inspiring Lord God. Many of those songs were older, and some were newer. They were all worthwhile. I don’t remember ever feeling that musical quality should be considered equal to spiritual quality when dealing with the “music of the church.” But I do feel that musical quality is worth some attention—just as many of us assess quality when thinking of preaching or Bible teaching. Quality is not, at its core, a matter of taste or preference. Trained, cultivated musicians and a few others are able to judge fairly well the relatively quality of a song, and there is no good reason to avoid such judgments. When there are thousands of songs available to us, there’s no reason to sing anything other than the top 40 or 50%. Arguably, style is also a matter to be assessed more by educated personas than by dilettantes and amateurs; when considering quality, the thoughts of trained, experienced musicians ought absolutely to be attended to. My opinions are only my opinions, but I am a trained musician who has the ability to judge music quality and composition in quite a few genres. I’m only a C+ poet with limited linguistic training, so, please ingest my assessments of the words with a few ounces of saline solution. But you may generally trust my music critiques and comments more implicitly and thoroughly, and I’ll try not to abuse the honor of your trust. I had written a follow-up post in which I commented on musical quality in specific (mostly) contemporary songs of some merit. I’m electing not to post the whole thing, because it was such a tiny sampling of songs, and because, in the end, I thought it was less than useful. “Above All” has some theologically questionable expressions and a musical challenge or two. Watch out for the III chord — difficult for most singers to hear and harmonize with. 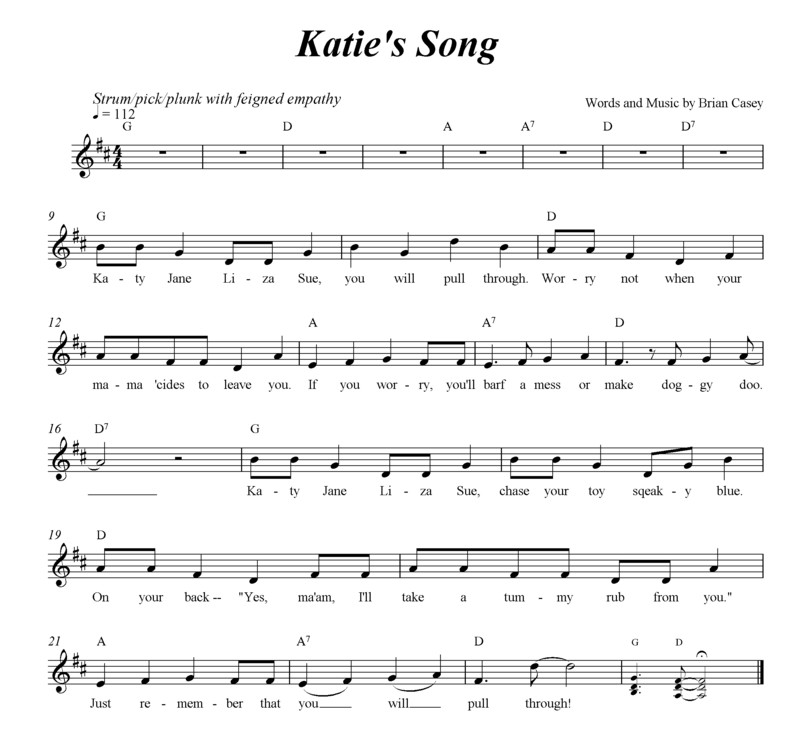 Its melody is somewhat difficult and is likely to be watered down in terms of rhythm, but it is tuneful, and the motion into and out of the chorus gives it a melodic arch. “As the Deer” is a mixed bag. The “apple of my eye” thing is a terribly upside-down expression and ought to be stricken permanently . . . A sense of longing does seem to be inherent in the chorus, especially—partly a function of the jump to the octave-higher keynote on “You alone” and the similar, upward skip on “to You” a few notes later. Again, a major III chord presents difficulties: less than 25% of the a cappella attempts at this song attain to the harmony of the F# suspended-4th chord in the key of D.
“Father and Friend” reaches deeper into the soul of the poet . . . and has music that’s more readily singable than most contemporary songs. Its melodic arch is subtle; its harmonies, perfectly supportive of the relatively simple, yet profound, text. The construction of “I Love You, Lord” is of reasonable quality, and the poetry, not flowery, is . . . well matched to the musical yearning in the melody. For churches that feel a compulsion to major in faster tempos, this song may feel like a downer, and/or people may skip beats. Don’t do that. Just live in the comfort of the slow tempo. What constitutes a “good” song? What makes a song worthwhile? Music is indeed a large part of life for me. This prefatory sentence alone is probably sufficient to set the stage for whatever musically themed posts appear in coming days/weeks/months. Maybe it’s time to delve more deeply into this thing that has played such a major part in shaping my life (thanks to the Lord who provided for it). I’ll still regularly draw lines from musical to spiritual topics, but the musical jumping-off points might be a little more deeply musician-y at times. After all, this is the area of my greatest formal education, so it makes sense that musical experience and insight might help to shed light on other things. Today’s topic is fairly general: musical creativity and outlets for it. Those folks in the DE/NJ/PA “tri-state area” were right about the significance of the Lights vocal group and the musical opportunities it provided: although my congregational schema offered only narrow avenues, with Lights I had a place to use some additional gifts. So, with and for that group, I wrote, I arranged, I corresponded, I collaborated with Scott and the whole group, I directed, I planned, and I sang. The creation of music — mostly, arrangements that were tailored for those particular singers — was the most personally fulfilling of those activities, and I did a lot of creating. There were always multiple projects and revisions in the hopper. A particularly exciting time period saw me composing and arranging for the teenage group I worked with closely. Several teenagers’ poems became songs that their own group later sang, and that whole experience was nigh unto spiritually enthralling. I was being used for good. One of the discouragements I face these days is the lack of such meaningful outlets. Frankly, I’ve tired of singing and of vocal groups. (I don’t watch any of the singing competition shows, and “Glee” makes me retch for more than one reason.) But there is a part of me that harks¹ back wistfully to those days of pouring so much spiritual, mental, and technological energy into creating Christian music. During our New York sojourn, I had significant outlets, and even some new ones as part of my work life. These opportunities led to hours upon hours spent in service of an institution and its programs. I arranged, I composed, I re-composed, and I transcribed. Transcribing is, at its core, moving music from one medium to another, and I did that according to the strong mix of student talents available then. One student performed a piano piece, various small instrumental groups performed chamber works, horn students worked through my etude book, and my large ensembles performed a couple of compositions (including Faces of Foster and Bounce) and several transcriptions (including chorales from Harding’s Chi Sigma Alpha, Schubert, Great Songs of the Church No. 2 with Supplement, and Beethoven) and a re-transcription of three well-known movements of the Mussorgsky/Ravel Pictures at an Exhibition. Flute and cello, by the way, make gloriously sonorous, supportive sounds to accompany “Instruments of Your Peace.” Most of those transcription activities were very fulfilling; I felt energized by the creation, rehearsal, and performance aspects, to varying degrees. In the church-congregation sphere in western NY — for reasons of distance, philosophy, and opinions — musical outlets were not really open, so I eventually redirected energies toward our small group/house church, but there wasn’t all that much place for creativity in the worship/music area there, either. Looking back, my composition of Christian songs has virtually dried up since living moving from Kansas in 2004, and I find little use anywhere for arrangements or songs that I’ve written, although I make an average of maybe $50 a year in CCLI income. It is with some of this history in mind that I share the following song, which, I’m somewhat embarrassed to say, is probably the best original music (given its topic and genre) that I’ve produced in 4-5 years. Thinking back to my teen years, I wrote songs for at least four girlfriends. The song below, in clear contrast, was written in tribute to a very neurotic, tiny dog owned by our dear, generous friend, Martha P. The dog really appeared to go into a depression every time Martha left the room. Katie, by the way, had no middle name. I tried to bolster her self-confidence by providing her with three. Enjoy the song. I have zero concerns over copyright with this! Maybe the last line will help you a little, as it helps me, in a light-hearted way. Work at ensuring the keys you lead in are suitable for both men and women. It is not impossible; it just takes time to work these things through. You are a servant leader; the church does not exist to put songs in a key to suit you and show off your best vocal performance. Our role is to enable others: to assist every man, woman, and child in expressing the almost inexpressible, to release the song in their hearts to Jesus. First of all, for identifying an important “worship ethos” subtopic, kudos to Darlene Z — whose last name my fingers never want to type, even if my left hemisphere could be certain of the order of the letters. Whew, lady, where did you get that malphonic burst of letters? 🙂 Her contributions to WL magazine during a recent year or two (2010 and 2012 are roughly the recent volumes I’ve scanned) are unique, generally insightful in some way, and kissed with her personal touch. I don’t relate to her “complimentary close” sign-off style in her articles and blogposts, but I absolutely believe it’s genuine for her. Find her blog here. For the uninitiated who either like to know such celeb-bits or have forgotten, Darlene was first catapulted into fame through her song “Shout to the Lord,” which I still consider nearly universally singable and worthwhile, and she has written many more songs and mentored many burgeoning worship leaders. (Is that even a thing?) Her home base is in Australia, and “Hillsong Music” was for many years her baby, so to speak, although she and her husband are now working with a different church. Darlene has also authored books on worship and appears to be a pure, trustworthy, scandal-free heart, although often and long in the public eye. She received a breast cancer diagnosis just last month; I look for some worship songs with an enhanced perspective within the next couple of years. Darlene is just the kind of person to be transparent in such a situation, for the good of humankind. Back to the topic addressed in the quotation above . . . I would summarize it by saying that Darlene is seeking to bolster a strong congregational dynamic. Says she: it is not about individual performance; it is about gathered groups worshipping the Lord. And she’s right. We can all get that question correct on a multi-choice test, but we don’t necessarily know what to do in order to enhance the congregational dynamic. Musical technicalities are of course just one aspect of “dynamic.” But indulge me for a couple minutes. . . . The thing is, Darlene’s statement seems somewhat limited to pop-style, guitar-driven songs. This suspicion of mine is based, yes, on having heard quite a few of her songs — but also on her having addressed congregational vocals in terms of key instead of vocal range and tessitura. You see, the key is not the thing. The intersection of contemporary “melodic” construction and key — maybe. This may not make as much sense to non-guitar-y readers, but the melodies of songs can actually take shape around guitar chords in the amiable keys of D and G. Contemporary songs written in D may hover around the tonic note and peak at the fifth (A), which is a nice, high-ish alto note, but only in the middle of the typical soprano range. Songs in G may actually do the same — start on a low-alto G, and ascend to D, or go up to the high “do” (G). Anyway, the main thing is not whether the song is in D or G or Bb; what matters most is how high and how low the vocal parts go. If the song is too high, many church people chicken out. But it’s rare that songs are pitched too high, in my experience. Getting them too low is the main issue. While a) female smoker voices and b) true altos may be able to sing a 5th or more below middle C, most women cannot do that with any power. Even if they could, in any part-singing situations that have an alto part below the melody, or a bass/baritone part, the simple fact is this: maintaining a vocal range that encircles middle C, or thereabouts, is a problem. There’s no place for the lower-pitched parts to go while remaining a viable part of the harmony! Congregational melodies ought to major in the range that starts around middle C and continues up for an octave+. That way, there’s room for all, and men can sing the melody with some volume in the octave below. If a song is in C and ranges an octave+ from mi to sol (E to G), raise it a 5th! Not every congregational singer will be able to identify the difference if the song is pitched well, but the overall sound — and psychological dynamic or feel — will be better. Please read this post for more on vocal range in congregational worship music — especially the last half of it. The more musically literate a person is, the more likely he is to understand the nature of most 6/8 church music –that it is customarily conceived with two beats per measure, not six. 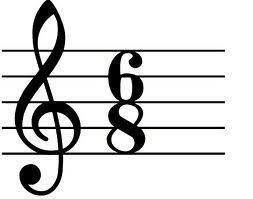 There are two groups of three eighth notes per measure. Leaders should be educated — made aware of this musical reality — and should direct accordingly, for the betterment of church assemblies. Note: this post was not written in response to anything that occurred today. It was written a few weeks ago and has much broader application. Let me just start with an arithmetic sum. You can check my math, and you might find I entered something incorrectly, but at the end of this relatively short post-day, the point will remain. You see, no other church types deal with this. (The others have their own problems.) But they don’t deal with singing songs 4 scalar steps too high or a step too low. We do. We do deal with this. We deal with it because we have many leaders who don’t have the requisite skills and/or tools and/or understanding. Stop right now, ye criticizers of those who critique. While you may be justified in personal annoyance at something you’re not interested in, you are not justified in sitting in your own judgment chair, judging this or other critiques as unwarranted simply because they are critiques. So, cease thou thy dismissive hand-waves. Cease thinking I shouldst spend my time on something more important (read: some issue you’re more interested in). And by all means, cease thinking that this is just a musician talking about something that’s not really of concern to the a cappella church. This is real stuff. It deals with physical and acoustical realities (not mere opinions). The math above? Have you figured it out? It represents pitch levels in the songs sung in a recent assembly. With 0 as the theoretical “ground zero” of pitch, +4 means 4 steps too high; -1 means one step too low, etc. The net grand average in this particular assembly turned out to be about 1/2 step low, but some of the individual songs’ pitch levels were not OK. 2 or 4 steps low is untenable, in most cases. The numbers are only estimates; moreover, it captures theoretical points in time per song, in essence averaging the pitch levels that changed throughout the given song. Is the precise pitch for each song important? Well, no, not in most cases. A half-step doesn’t often make too much difference. But the general pitch level is important, and even one step can have a notable effect on the atmosphere. Aside: much of the contemporary repertoire associated with solo “artist” voices is written and sung at pitch levels not conducive to congregational singing. 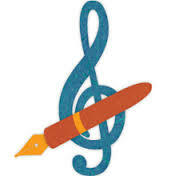 Leaving other issues aside for the moment, a transcriber/arranger must consider the pitch level of all the voice parts to be singing. If singing the melody in unison, roughly Bb/C to C/D (an octave above) is generally OK. But if SATB parts are part of the conception, as in most a cappella churches, the melody generally needs to range a bit higher — from D, up an octave to E/F. When a melody is too low or too high or too broad in its range, human vocal ranges are strained, and/or harmonies don’t work (remember, we’re talking about acoustical realities and mathematical relationships between frequencies here, not simple tastes in voice quality or harmony. Although opinion is involved, this is not primarily a matter of preference or opinion. It is a matter of empirically observable reality. The human voice operates within God-designed parameters, and harmonies exist within a natural order which is also, of course, God-originated. The prayer song “Savior, Breathe an Evening Blessing” offers a common rhythm mistake — one that was a regular part of my growing-up church experience. This song was probably led a half-dozen times a year at the evening gathering, and it deserved such regular use. Remember it? The last line of the 1st stanza is “Thou canst save and Thou canst heal.” The tenor and alto move in quarter-8th-8th rhythm, but wait . . . no, they don’t . . . everyone seemed to want to sing this as 8th-8th-quarter instead. Since this song is way out of copyright protection, and since other, less authorized or defensible changes have been made in hymnals such as Great Songs or Songs of Faith and Praise, I’m not sure why the rhythmic error hasn’t been “fixed” by changing the notation. (It was fixed in Praise for the Lord.) It’s difficult and unnatural to sing it as it’s written, and no one does. But that’s just one mistake. They happen much more frequently with “today’s” musical repertoire in churches. Take “On Bended Knee,” for example. There are rhythmic mistakes with the syncopations in every other measure! It’s really just another evidence that singers can’t do rhythm. (Get a bunch of jazzers or wind instrumentalists together, and you wouldn’t have this problem!) This “fix,” if attempted today, wouldn’t be nearly as easy. Time was that the school-age children (and beyond) of the CofC were known for their ability to read music and to sing. Yet rhythms tend to be much more complicated these days. Do you ever wonder what’s going to happen to congregational singing if Jesus doesn’t return in the next handful of years? And I ask you: aren’t these all special songs? In a real sense, every song in a Christian gathering should be special music. Why sing a song unless it is special? Many churches have developed a lingo that separates the solo song from the rest of the musical worship material. Bulletins may list “Special Music” during or just after the offering. “Who’s singing the special today?” is heard by many involved officially in musical leadership/offering. If one isn’t careful, she could begin to think that “special music” should be more attended to than congregational music. The “special music” lingo does indicate a good thing — congregationally oriented music as the norm. Even as musical literacy in churches declines rapidly, it is good for churches small and large to continue to “major” in the large-group mode of worship. It is engaging, fulfilling, and God-intended. Long live the singing of Christians. Whenever two or three are gathered. . . .
Again, as with my Harding University-related leading opportunities, my family reputation preceded me: as a 17-to-20-year-old, I was pleased to be entrusted with regular leading responsibilities at the church I attended — the West Side Church. I rode a bus there, since it was about two miles away. One of the elders—a dear professor named Baggett, for whom my parents had sung when he directed the Christian academy chorus, and a man my other grandparents counted as a friend—put me in front of the church about once a month for the three and a half years I was in college. I don’t remember the weekly planning process, but I don’t think there was anything submitted in advance for a bulletin or “worship program.” I don’t believe anything was coordinated with the preacher or other leaders. I would simply choose songs from the hymnal, a copy of which I owned, and then I showed up to lead. There were no “contemporary music” options available at that time, but I would have led a balance of songs that ranged mostly from 50-250 years old (plus one from the 3rd century) from the hymnal, and would have chosen appropriate songs and stanzas well in advance. Thinking things through is always good. Although I have few specific memories, I can guarantee you that there was bona fide worship content when I led. I had been taught well by my grandfather, father, and others. Songs like “Lord of All Being, Throned Afar” and “Day Is Dying in the West” and “Father and Friend, Thy Light, Thy Love” would have been likely choices for me during this period (and beyond!). I believe that much worship occurred during such times, no matter whether I was leading or someone else, as in certain churches today that think they’re worshipping more, and better. Despite my youth, I put relatively mature thought into leading and did some good things. Since I had some prior experience leading in my home church, at youth events, and at camp before coming to college in Searcy, I was accustomed to conventions such as writing out lists of song numbers, inserting prayers and readings at the “right” spots with other men’s names filled in (often, at the last minute when brother so-and-so didn’t show up to fill his assignment), announcing song numbers twice in two forms (“four hundred fifty six . . . four-five-six” [to make sure someone didn’t accidentally turn to 466), and holding up fingers to indicate stanza numbers. Since leading at the West Side Church was a regular thing for me throughout my undergraduate college “career,” I probably owe Eddie Baggett (the elder, professor, and family friend) a lot more than I’ve realized for giving me the opportunity to develop as a leader at this important time of life. He and his wife are now in their upper 80s, and we had a nice visit with them a few weeks ago in their home. This mini-memoir is about my song leading experiences in Searcy, Arkansas—a little town in which I’ve spent, in toto, about 4.5 years of my life. Searcy (pronounced “SUR-see”) is one of the beloved homes of colleges affiliated with my church “fellowship.” Although Searcy is just one college town, and although it is probably no more representative of Church of Christ experience than others, it is the town I know, and I figure it’s beneficial to think about where I’ve come from. Searcy has pretty much always been a town where it’s not only safe, but quite comfortable, to be a Christ-ian. A quick glance at its daily newspaper’s website shows not only the Christian influence, but something of the place of Harding University in the community. Aside: and what about other CofC college towns? I’ve only spent about 8-10 waking hours of my life in Abilene (ACU)–an ugly town with a more open breed of university and a somewhat more progressive church climate–and no more in Henderson, TN (FHU). Have been in Oklahoma City (OU) and Vienna, WV (OVU) a bit longer but still have no real basis for comment there. Absolutely no sense at all of Lubbock (LCU) or Kissimmee (FCC). I have a fairly decent handle on Nashville (DLU), but that city is in a class all its own, since it is Jerusalem for CofCers and spawned such relatively avant garde efforts as are found within Woodmont Hills and Brentwood and Otter Creek and Zoe. In Searcy, a true CCCCS (Church of Christ College City-State) — for me, at least — stuff including the leading of congregational singing is more analyzable, memorable … and, well … iconic. It bears mention here that my maternal grandfather, Andy T. Ritchie Jr., was for years a well-known, much-loved-and-respected leader of worship in congregational singing. He sometimes traveled far by train and car to lead worship as others preached, and to preach himself. He was a cross between George Beverly Shea and Billy Graham — in our milieu, which is of a much smaller scale. I genuinely feel blessed to have experienced Granddaddy’s leading on several occasions — both in my home church in Delaware and in Searcy. He was known for his strong voice, his eventual blindness due to detached retinas, his expressive leading well into his 60s, and his personal, persistent communion with God. If I have one-quarter of the relationship with God that Granddaddy seems to have had, I’ll be well off. 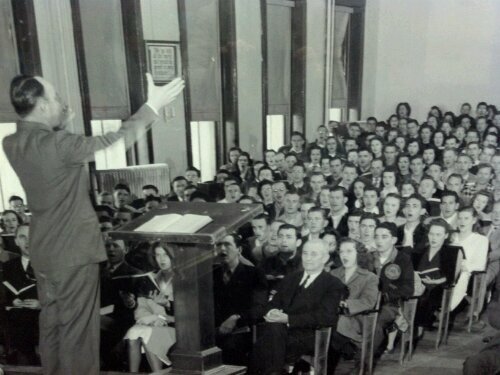 During my college years, I was privileged to lead congregational singing about once a semester in Harding University’s chapel. The first time I led there was during my freshman year. Know first that all congregational singing was sans instruments (which, incidentally, isn’t exactly the meaning of “a cappella”). No special choir was involved. Yet University choral director Uncle Bud (Dr. Kenneth Davis, Jr.) was responsible for lining up the song leaders, and he knew my strong family background in congregational singing, so he put me up there in chapel fairly early—during my first fall semester, I’m pretty sure. Although one faculty member had been ridonculously spacey in front of the chapel audience of 2,800—actually forgetting which hymnal was used in chapel and calling out song numbers from a different hymnal—I made no such mistakes and was “successful.” I remember overhearing, after I had led, that some upperclassman music folks were envious that I hadn’t made a mistake in chapel. Big deal. No mistakes of the technical variety. I’m afraid that that’s kinda how I’m remembered as a Harding student. I was so associated with technical correctitude — perhaps extended to a perceived lack of ability to relate to the common person? — that I wasn’t elected president of a music ensemble. I understand now: no one wants to have correctness inflicted on him at every turn, and although I was respected, I wasn’t loved by the masses. I have no memory of what specific songs I led that day in chapel, or whether I was really leading or just beating time and getting the right pitch and not fouling up the words. This memory of chapel song leading is not all that strong, I’m afraid. It was just a given — a male with musical proficiency and the spiritual desire to lead the student body and faculty could do so, about once a semester. A brief tag-on to the above: I remember that Uncle Bud would have opportunity on a few occasions to select a student or two to lead singing wherever the chorus found itself on Sunday mornings while we were on tour. I was honored to be one of these guys on a few occasions. Again, no specific memories, but I’m glad to have had such opportunities to lead and to observe as the chorus traveled parts of the country. This kind of experience could only have strengthened and broadened me as a person and as a leader. Tempo in music is, to a great extent, a subjective matter. Yet there are some guidelines and “windows of acceptability” that demand the attention of leaders. Some of these conventions appear to be inherent to human nature and our perception, but they also may change with time. In this third of a three-part series, I’d like to state and comment on some of these principles and guidelines. Only a few readers took 15 seconds to respond to the poll in the first post, three days ago, so those results are inconclusive. I’ll mention that only one respondent thought church singing was too fast, in the overall analysis. My personal observation in a cappella churches — which, remember, do not, as a rule, use professional musicians or choirs — is that there may be one leader in each church who feels it incumbent on him to use very fast tempos for virtually every song. He feels this way, I have surmised, because most everyone else in his church leads things too slowly — which would be one scenario that led to inconclusive poll results — or he just feels he must be the life of the party. I think I was this guy, to some minor extent, for a few years, but now, I simply try my best to choose good tempos, which means a variety. In my last post, I listed song titles from one particular Sunday morning assembly, along with the (invariably too slow!) tempos used, followed by my own recommended tempos. I’m relatively un-apologetically opinionated in this area of church life — and periodically, admittedly arrogant — but in no way do I suggest that my tempos are absolutes. I only specified numbers in order to put things clearly. Tempo is not completely a matter of taste. It’s not just “to each his own” when deciding one can (il)legitimately sing “Joy to the World” at the same tempo as “Amazing Grace” or “Abide with Me.” Besides generally accepted principles (we use ‘em in accounting; why not in congregational singing? ), it has long been held that tempo in music is directly related to the human gait. If one can’t have a little spring in his step when singing or hearing “Joy to the World,” I think the tempo is too slow, and I’m sure you’ll agree!